Essential oils are the most powerful components of a plant concentrated into a small amount of liquid. Volatile oils (synonymous with essential oils) are not only fragrant, but also have aromatherapeutic benefits that transfer to you when you use them. So the question we’re answering today is: how do you use them? And more specifically: how do you use an essential oil blend? Essential oil blends combine two or more oils together, giving you well-rounded benefits and a more complex fragrance experience. For example, if you want a relaxing experience, you can use a blend of lavender and frankincense. The possibilities are endless. The simplest way to use an essential oil is to dab a couple drops onto your wrists, similarly to how you’d use perfume. Of course, you’ll want to choose an essential oil that you really love, and it’s important to do a patch test first before putting an essential oil directly on your skin. 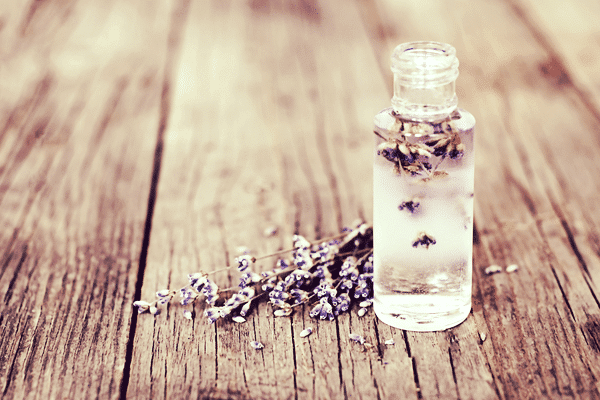 Click here to read more about how to use essential oils safely. For those with sensitive skin, you may favor mixing your essential oils with a carrier oil. This way, you dilute the powerful properties of the essential oil and can apply it just like you would a moisturizer. Examples of carrier oils are coconut, jojoba, avocado, and grapeseed. Using a diffuser with essential oils is an easy way to make your space smell amazing and use aromatherapy to help shape your day. At work? Perhaps an energizing blend of grapefruit and ginger. Looking to get some sleep? Something with lavender may help. There are lots of different types of diffusers, from the simple candlelit type to those that plug in and spray an oil-infused mist. Mountain Rose Herbs has a good selection of diffusers. If you don’t want to invest in a diffuser, you can use a spray bottle filled with water and a couple drops of essential oil to spray around your room, your clothes, even your pillow. We really love using empty toning mist bottles for this! Check out this post for more inspiration on how to reuse Annmarie Skin Care containers. A few drops of essential oil in your bath will take it to the next level. Try a blend of jasmine to inspire passion and rosewood to lift your overall wellbeing, or a grounding blend of vetiver and sandalwood. You can enjoy the aromatherapy of your essential oil without even taking it out of the bottle. Simply open up and smell. This can be really helpful before a job interview (hello comforting and inspiring frankincense) or before a date (heart-opening rose, anyone?). For something milder, you can add some essential oil to salts and enjoy their scent that way. In salt, the scent can last over a year, helping you get the most out of your oil. Keep a jar of smelling salts on your desk at work for when you need that afternoon inspiration. Tons of natural cleaning recipes call for essential oils, like the bathtub scrub and floor cleaner in this article. You may also like putting a couple drops of essential oils on the rag you use to dust. Citrus oils are known to be super cleansing, but you shouldn’t feel limited to those. Like we said before, look up your favorite essential oil and there’s a good chance that you’ll find it to be cleansing. Another way to incorporate them into your cleaning is adding a couple drops to a steam vacuum. Planning on entertaining? Everyone will wonder how you got your house to smell so naturally amazing. After your washer has filled with water and you’ve added your detergent, add about 5 drops of essential oils for laundry that smells heavenly. Or, add a couple drops to a dry piece of cotton and use that instead of dryer sheets (which generally contain harmful chemicals). We recommend not washing your hair everyday, and using essential oils is great way to keep it smelling lovely in between. Niquita loves adding a couple drops to coconut oil to moisturize and perfume her hair simultaneously. Aubrey likes mixing her essential oils with apple cider vinegar and water in a little spray bottle to help balance the pH of her hair while giving it a lasting aroma. What’s your favorite way to use an essential oil blend? Let us know in the comments below! When you mention salt (you can add some essential oil to salts), are you talking about real sea salt, Epsom salt or just table salt (which I haven’t had in my home for a very long time)? And, in this statement “Soaking your feet helps you release some of these toxins, especially when you use salt” are you saying when you “eat” salt or are you saying to add “salt” to the foot bath? Add salt to your foot bath! I like to add Himalayan pink salt to mine, but again any sea salt or Epsom salt is great! I just wanted to add to this thread that if Laurel has issues ingesting salt/sodium (as I do!) my understanding is that Epsom salts do not add to your bodys’ salt intake like eating something high in sodium! I’m not sure the same can be said for sea salt in the water! I mixed your grounded scent with his beard oil and we both LOVE it! Thanks! Will be purchasing the full size after trying the sample kit. Can you recommend where to buy good quality essential oils please? We really love Mountain Rose Herbs for essential oils! For therapeutic purposes, a couple of drops of certain oils can be rubbed on the bottom of feet – after the shower and before bed. I love to massage a couple of drops of grapefruit essential oil under my arms; it acts as a mild deodorant while very good for the lymph system. When I out oils on my face always with some water to spread and absorb better.